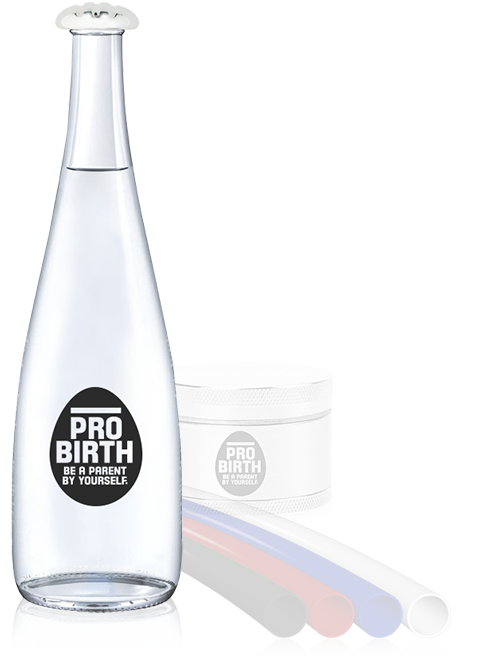 ProBirth - Be A Parent By Yourself. Accessories - The GRS 400 program. In order to ensure fully functional efficiency of your GRS 4000, we advise you to exclusively use supplies of the GRS 4000 program. These supplies can easily be ordered here in our online shop. Just send us an email to or directly to a ProBirth consultant. We would love to answer any further questions. The original liquid. Easy to refill. Available in the attractive 0.7 liter bottle. 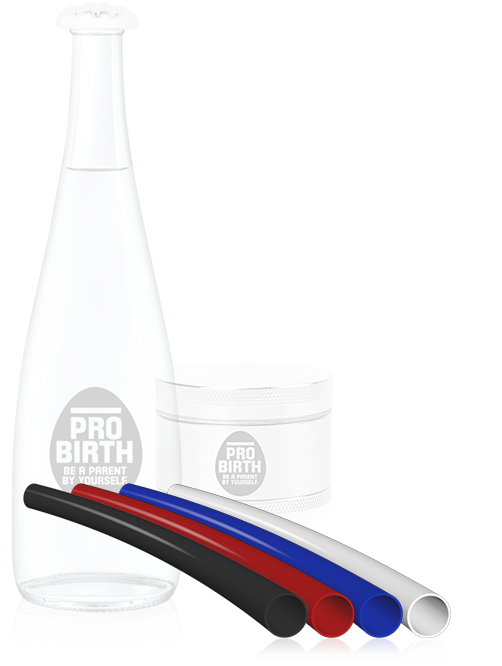 In order to ensure fully functional efficiency of your GRS 4000, please exclusively use the original ProBirth amniotic fluid. 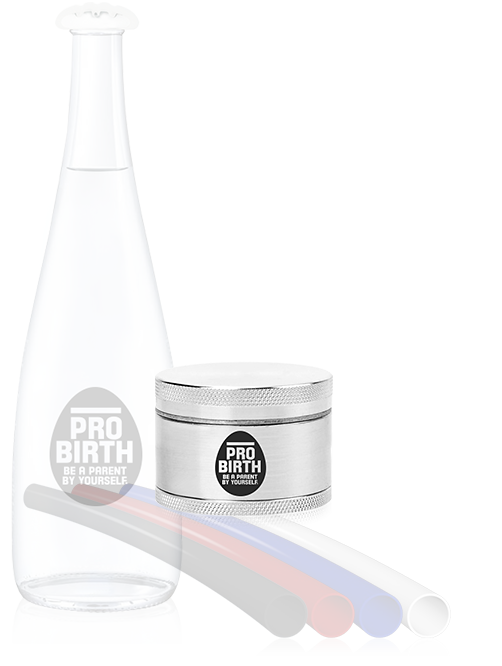 The classic ProBirth Placenta, now optimized for the GRS 4000 under the supervision of nutritionists and dieticians. Easy and quick to apply. It even comes in a pretty jewelry box. The newly developed supply tubes exclusively for the GRS 4000. Withstands even extreme outside temperatures. Non-breakable. Tear-proof. Fire-resistant. Also available in neon colors.